Get a great pay monthly deal on the Sky Mobile Network, all the latest handsets at low prices. If you are looking for an ultra-flexible pay monthly contract that combines free data rollover with inclusive roaming in 36 locations in the EU and beyond then check out our Sky Mobile Deals. One of the latest MVNO operators to the UK, Sky Mobile allows customers to change their allowances to suit their usage so you're never paying for more than you use. Compare the latest Sky Mobile deals below. 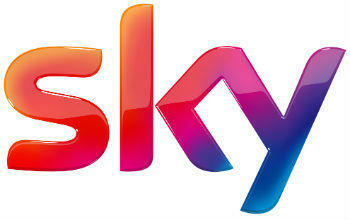 Sky is one of the most recognised brands in the UK's due to their TV and Broadband offerings. In 2016 they branched into mobile phones are powered by the O2 network which means customers can enjoy 4G coverage throughout the UK. Thanks to O2, Sky Mobiles customers can expect average download speeds of 10Mbps, and by 2017 98% of the UK population will have 4G coverage. As Sky Mobile customers can also hop on over 20,000 Sky Wi-Fi hotspots situated throughout the UK. In terms of tariffs Sky offers some of the most competitive SIM-only price plans on the market; especially on data-only SIM deals with plans starting at £10 a month for 1GB. For an extra £5 extra per month, this goes up to 3GB of data. Heavier users can pay £20 a month for 5GB. Sky TV customers will also get unlimited calls and texts thrown in for free, while non-Sky TV customers can pay £10 extra a month for unlimited minutes and texts. Free data rollover: Sky allows customers to roll over unused data at the end of each month and store it in an online ‘piggybank’. Free unlimited texts and calls for existing Sky TV customers: If you're already a Sky TV customer then you can get free unlimited texts and calls when they sign up for one of firms SIM-only deals. Sky Go Extra app free for up to four devices: Sky+ customers can get the Sky Go Extra app for free on up to four devices. The service normally costs £5 a month and allows you to stream videos or watch recordings while you're out and about. If you’re looking for a flexible mobile contract with awesome 4G speeds and coverage then Sky Mobile is going to be a great option, especially if you’re already a Sky TV and Broadband customer. You’ll get awesome coverage, great service, and fast speeds at a great price.